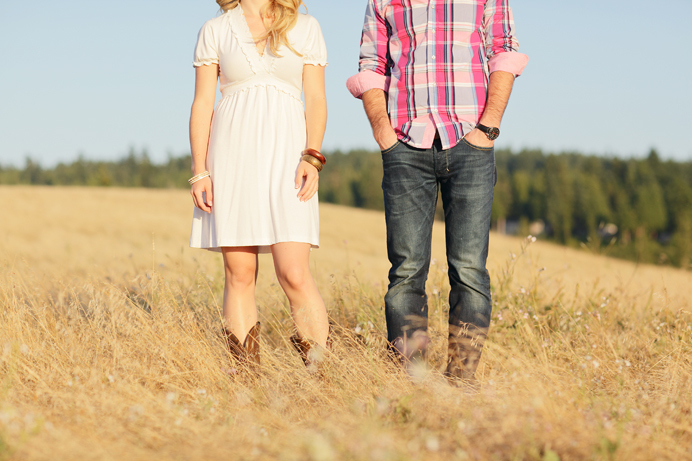 Here are a few more photos from Matt and Ashley’s couple’s photo session this past summer. I was totally flattered when Ashley messaged me to tell me that they’re hanging some of these photos on their wall at home. As good as Ashley and Matt look in these photos, they’re even cooler in person, so if you’re ever looking for a wedding planner in Metro Vancouver, be sure to contact Ashley by visiting their spanking new blogsite. Love this set. The field is gorgeous. Love her dress!